MOSCOW, Russia -- Ukraine has long tried to sell itself to Europe as the once-and-future breadbasket of the continent, promising that Western investment is the key to making its under-exploited black earth bloom. 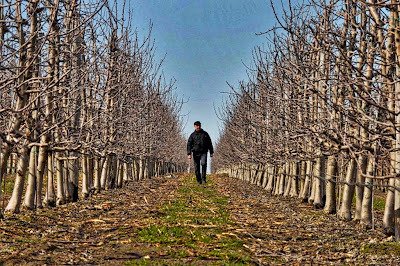 A Moldovan farmer walks in an orchard March 26 in the village of Bucovat, northwest of Chisinau. Russian Security Council Secretary Nikolai Patrushev told a meeting of his counterparts in the Shanghai Cooperation Organization on Tuesday that the West plans to grown “genetically modified crops” in Ukraine. Agriculture is a critical part of Ukraine’s plans to revitalize its economy – and a culprit in the country’s recent economic decline. Once 20 percent of Ukraine’s economy, agriculture now comprises only about half that – despite more than half of the country being arable land. Nonetheless, Ukraine is still a major producer of wheat, barley, corn, sunflower and sugar beets. 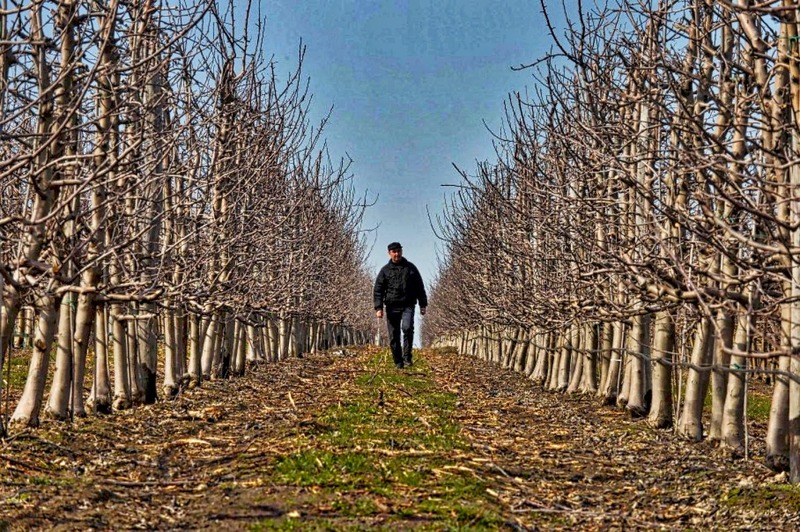 Genetically-modified cultivation was long banned in Ukraine – as was the sale of farmland. Foreign agricultural companies operating in Ukraine oftentimes rent land, and under the terms of a moratorium extended before protesters ever took to the Independence Square to oust former president Viktor Yanukovych, will have to keep doing so until the beginning of 2016. Monsanto – perhaps the most recognizable corporate name in genetically modified products – did express interest in investing in Ukraine last year. To what extent that means that Ukraine has opened itself up to a GMO feeding frenzy, though, is not entirely clear. The E.U. did just change their laws on GMO cultivation a few months ago, adopting an agreement that would let GMOs not previously approved into the European Union market.